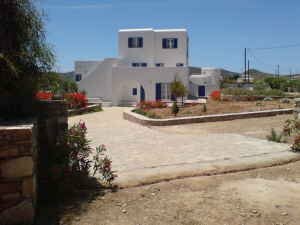 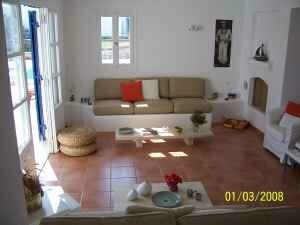 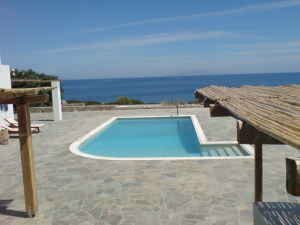 Villa in Antiparos (Cycledes) Greece. 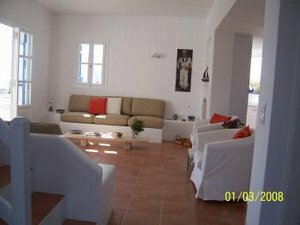 Beautiful villa for 8 persons with 4 bedrooms, 4 bathrooms, kitchen fully equipped, large terrace, private pool, BBQ, daily service. 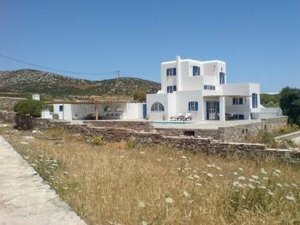 Distance from the beach(rocks) about 50m and fron sandy beach about 300m.